DUNOON macadamia farmer Vilma Giacomini is set to swap nuts for breasts when she takes to the stage in Lismore Theatre Company's latest production Breast Wishes. The uplifting Australian musical comedy was written by some of the nation's most respected comedic writers including Wendy Harmer, Merridy Eastman, Jonathan Gavin, Richard Glover, Sheridan Jobbins, James Millar and Debra Oswald with music and lyrics by Bruce Brown. The Lismore Theatre Company will present it at the newly airconditioned Rochdale Theatre from 21 February to 3 March. For Vilma the all singing, all dancing production is a chance to leave the farm and have some fun in a play which is described as a "witty and heartwarming journey through laughter to triumph” as one family of four women deals with Breast Cancer in an uplifting, joyous, funny and ultimately moving way. "My character is Helen (mother),” Vilma explains. And while she hopes that it will be thought provoking, ultimately she says "it's a fun show” with amazing staging and lighting, singing and dancing. For Vilma it's a chance to have a laugh and do something different before harvest time on the farm takes up all her time again. 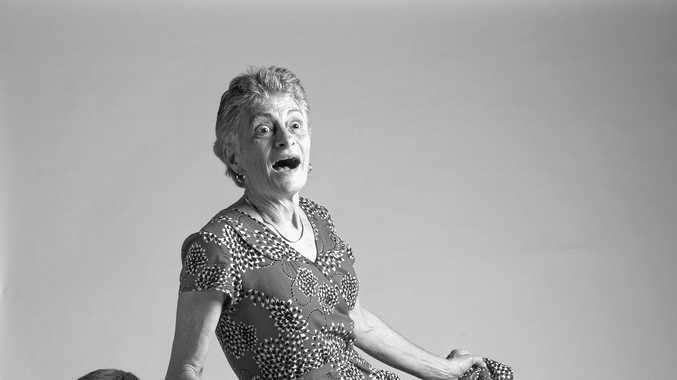 "I've been part of the Lismore Theatre Company for about 12 years,” the Sixty-six (and a half)-year-old explained. Some of the early macadamia farmers in the area, the Giacomini's started farming in the Dunoon area 30 years ago and when her husband died Vilma said it was what she knew and so continued on. Over the past few years she has slowly but surely been getting back to her passion for amateur theatre (as long as it isn't in the busy time of the farming year) both behind the scenes and on stage. Performances are February 21 (Advanced Screening/Preview), 22, 23, 24, 28 and March 1, 2, 3. Thursday, Friday, Saturday night performances at 7.30pm and Sunday matinees at 2pm. Tickets can be booked online, go to trybooking.com/ZXOX. Lismore Theatre Company is donating 10 per cent from every ticket sold to local charity Jodie's Inspiration.